What better combination for today’s students than a scientist/engineer who is also a children’s author? 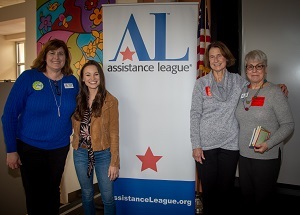 Assistance League of Los Gatos-Saratoga is hosted Emily Calandrelli, children’s author and The Space Gal, to present two assemblies for students at schools in Campbell Union School District in January. 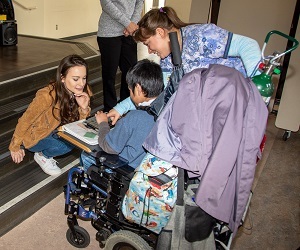 In support of Assistance League’s programs providing STEM and Literacy training to students, Calandrelli talked with the students about careers in engineering and science as well as her experiences on TV and working as a children’s book author. Calandrelli has written 4 children’s books about Ada Lace who is a third grade scientist and inventor extraordinaire. Assistance League donated 30 copies of each of Calandrelli’s four books to Rosemary and Blackford Schools.